SUMMARY: This week we bring you a video interview from the MarketingSherpa Media Center at DMA’s &THEN 2015 in Boston. Read on and watch the video to discover what kinds of marketing personalization tactics have the most impact on customer behavior. We also discuss the results of a case study review with Jon Powell, Senior Manager of Executive Research and Development, MECLABS. At the MarketingSherpa Media Center at DMA’s &THEN 2015, Daniel Burstein, Director of Editorial Content, MarketingSherpa, sat down with Jon Powell, Senior Manager of Executive Research and Development, MECLABS, to discuss the results of a recent study on marketing personalization tactics. 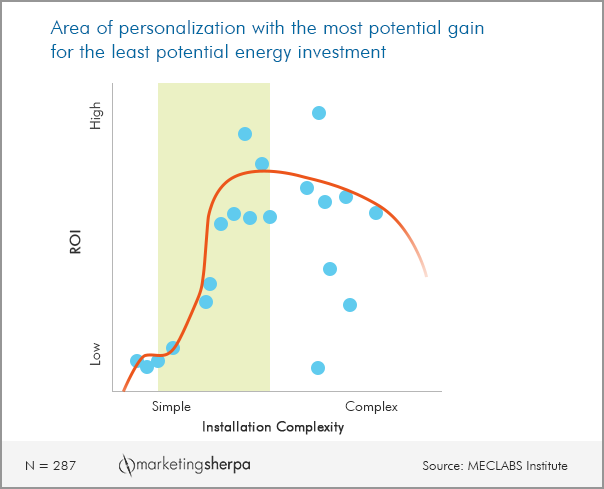 Powell reviewed all personalization and customization related to MarketingSherpa case studies and optimization tests conducted at MECLABS 2001 through 2015. 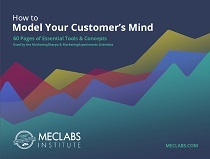 All 287 case studies, some of which summarized more than one test, indicated that three key tactics had the highest impact on ROI. "Acknowledge the relationship that you have with [customers], acknowledge something they’re interested in and … a recent action they’ve taken, and then combine that into a message that benefits the customer, and I promise you, you’re likely to find a significant difference in behavior," Powell said.